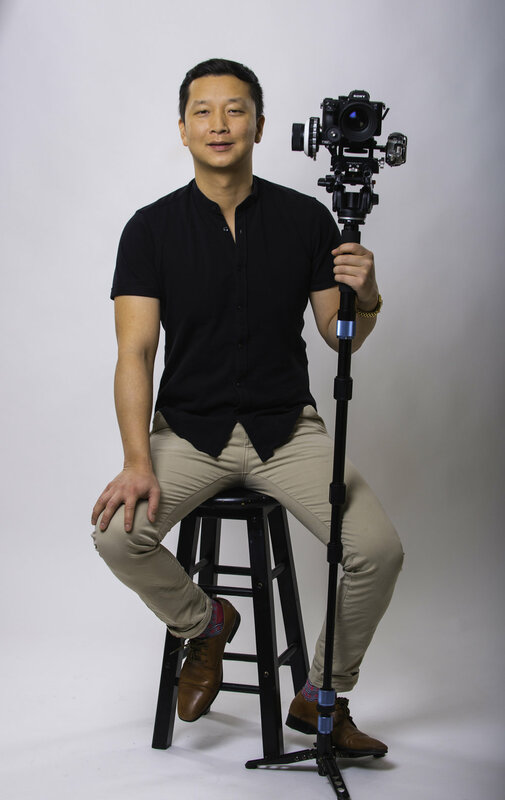 David Yeung is a passionate Videographer who strives to be creative in his craft. Born in Hong Kong and raised in Vancouver, he has thrived in expressing himself through the art of videography. No matter the client, he takes joy in creating the best visuals and stories possible. He honed his skills working as a camera assistant for 10 years in Vancouver’s thriving film industry. Notable titles include Cabin in the Woods, Smallville, and X Men 3. Currently, he works in a multitude of videography genres: Corporate, Real Estate, Social Media Ads, Weddings and Web Series. All of which has increased his spectrum of versatility and depth of experience. A self-proclaimed gear-junkie with a great eye for detail, David is skilled in all forms of videography that utilize the latest technology, including gimbals, motorized sliders, and drones. With a flexible shooting schedule, he can make himself available for international work, having produced video projects from China to Africa. Do not hesitate to reach out for any video needs!